How do you work this thing? I really LOVE the quality, by the way! Can you ship to [my location]? We can ship to most locations throughout the world. Hi! I Really like this product, but the customs-fee is an arm and a leg over here in [my location]. Do you have any retailers in the [my location]? What are the best ways to clean the Folding Firebox when done using it? I have used the red cleaning pads and scrubbed it back to a new-ish appearance, but that's a lot of work when it's just going to get the same patina again next time. Now days I just coat it inside and out with whatever oil or fat is available (bacon grease, butter or vegetable oil) I just kinda mop it on with a paper towel then wipe it back off with a fresh paper towel. That cleans off the loose soot and protects the stove from corrosion by leaving a light coat behind. If storing for a longer period of time, using extra virgin olive oil or another that will not go rancid is best. I'm having a hard time deciding which stove to get? If you're going to carry it (backpacking) you want the Nano. If you're going to be car camping, you want the 5" firebox. Does the 5" Folding Firebox come with a case or is it separate? The 5" Folding Firebox comes in a cotton delivery bag unless ordered as part of a combo kit which specifies the Cordura D-Ring Case. What size is the hole on the firebox boil plate? I do not have a Paypal account and I do not wish to open one just for this single purchase. Is there any way to make the purchase through you but without Paypal? 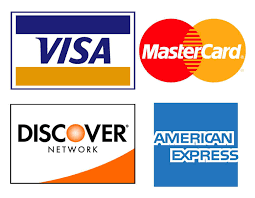 You don't need a Paypal account in order to purchase through our website. Just proceed normally through the checkout instructions, and when you get to the Paypal page, just look below the Paypal login form - there is a button which says "Don't have a Paypal account?" Pressing this button will allow you to use any credit/debit card. Does the purchase of a Firebox come with two fire sticks? Do I need to purchase the fire sticks seperately? The Firebox comes with 2 Fire Sticks and an Ash Pan. What are the benefits of Titanium vs. Stainless Steel? Titanium isn't actually stronger than steel (a common misconception) it's 40% lighter with a similar strength to that of steel. Its advantages for stoves are that it cools faster so you can pack up quickly and it doesn't lose its corrosion resistance after being exposed to high temps so no maintenance necessary. I am just wondering if the firebox could be used with a dutch oven? Yes the Firebox works great with a dutch oven.